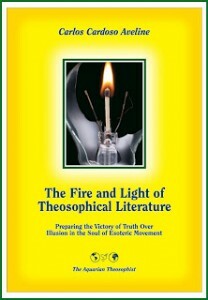 “The Aquarian Theosophist”, February 2006, pp. 12-13. Jerome Wheeler was then the editor of “The Aquarian”. the first decade of the 20th century. A writer who presents himself as a student of Helena Blavatsky wrote a couple of articles in a website suggesting that Mr. Robert Crosbie broke the solemn vows he had made as a student of the Esoteric School led by Katherine Tingley. The author thought that by being a member of Katherine Tingley’s inner school Crosbie had the moral obligation to unconditionally obey Ms. Tingley regardless of circumstances. He was supposed to renounce his own discernment and follow orders. When Crosbie left Tingley’s esoteric school in 1904, he was therefore seen as “breaking his vows”. As a result, it was believed, he should never have founded the United Lodge of Theosophists in 1909. 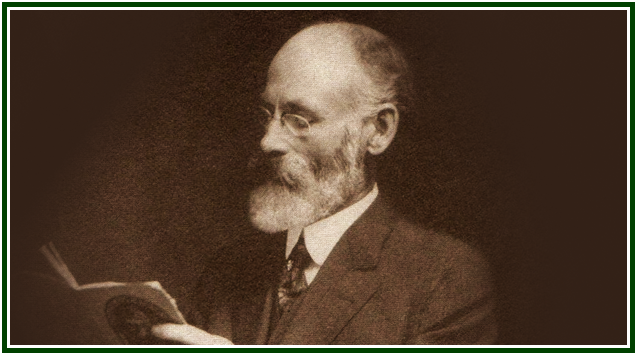 Since Crosbie saw that the Point Loma Society and its inner School had abandoned the original teachings of theosophy, it was his duty to leave them aside, and he would be breaking his vows if he remained there against his conscience. Making a vow in the true theosophical movement increases one’s self-responsibility and the need for individual discernment. There is no blind obedience in the pedagogy of discipleship taught by Helena Blavatsky and the masters of the wisdom. Writers who attack HPB, Crosbie and other sincere theosophists tend to appear from time to time in several countries. “Those who know, don’t talk. In order to attain esoteric knowledge, one must work for a noble and altruistic goal. Selflessness is the key to higher realms of consciousness. By writing against those who search for lay discipleship according to the unadulterated teachings of H.P. Blavatsky and the Masters, unethical observers of the theosophical movement are but separating themselves from such an opportunity. We have had attacks against HPB’s work all the time since the mid-1880s. We also have seen people successfully defending Theosophy all along: every challenge is an opportunity in the inner side of the theosophical effort. The very existence of students who try to live up to the inner side of H.P.B.’s Teachings seems to gravely offend some individuals. This is of course unfortunate: no sincere student would wish to offend any individual. One can only hope that the aggressive skeptics will in due time understand and accept the existence of such a thing as an occult life and a spiritual path. I wish they could see that there is an inner level of study and action which must be kept to those who have freely decided to pledge themselves to their own hearts to try to improve themselves – and who have made a commitment to help each other along that old, steep and narrow way to Eternal Wisdom. Each one’s responsibility remains individual: bureaucracy has nothing to do with aspiration to discipleship. The lack of respect that the pseudo-theosophical skeptics seem to show for the inner instances of the esoteric movement is connected to the lack of respect they have for their own inner consciousness and conscience. It follows that to wish them well, and to send them good thoughts, is part of our task. On the other hand, our mission also includes actively preserving the movement and the Teaching from any occult successors of the 19th century slanderers Vsevolod Solovyov, Emma Coulomb and others. It is not a coincidence that both Solovyov and the Coulombs, as well as their 21st century successors, first infiltrated the theosophical movement, and only then started to attack H.P.B. and the Masters’ work from inside the theosophical circles. As paradoxes are part of the occult life, there is a bright side to this. Esoteric philosophy states that great opportunities are generally in direct proportion to the difficulty of challenges. Therefore, putting a limit to the slanderous action of “modern” skeptics may be a golden opportunity now available to earnest students worldwide. See on this topic the article “Pledges in Theosophy, Real and Phony”, which is available in the Associated Websites. Its subtitle says: “Esoteric Frauds Use Vows to Obtain Political Control Over Sincere People”. Read also in our websites “The Symbolism of Judas Iscariot”. Regarding pseudo-scholars who attack Theosophy, see the article “On Looking Like a Scholar”, which can be found in our Associated Websites.